With purple and yellow skin on the inside, the plums are deliciously juicy, nutritious and sweet. These plums are a great food to give us energy every day, and can be used to facilitate intestinal transit. With purple skin and yellow inside, the agen prunes are deliciously juicy, nutritious and sweet. A great energetic food, which can be used to facilitate intestinal transit. 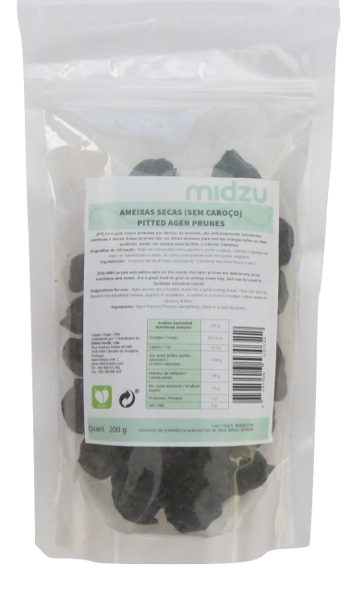 Usage suggestions: Agen prunes are a healthy snack for a quick energy boost. They can also be blended into breakfast cereals, yoghurt or smoothies, or added to numerous recipes, either sweet or savoury dishes.